You've got to hear it to believe it. 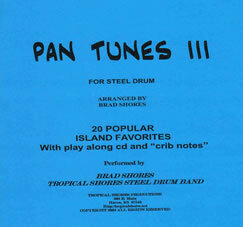 Never has there been a steel drum band recording that has sounded this good. Featuring James "JT" Taylor - This CD is a compilation of classic Caribbean tunes. Get out the lounge chair and sit back and relax to the soothing sounds of the steel drum. - If you listen closely you can almost hear the waves lapping against the shore. You will also enjoy: "...An Island Christmas"
20 island favorites recorded once with lead part and then again without lead part. Songs include: The Hammer, Red Red Wine, Yellowbird, Compadre Juan, Spanish Harlem, Lion Sleeps Tonight, Maryann, Guantanamera, Cachita, Spanish Eyes, Under the Sea, I Can See Clearly Now, Never On Sunday, Banana Boat Song, Quando, Archie, Island in the Sun, Shake Sonora, Jamaican Farewell, Miami Beach Rhumba. Take a look at these CD's from our affiliate, Tropical Shores! 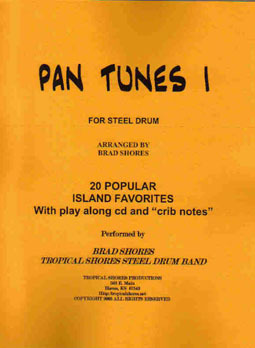 "20 Pan Tunes Vol. 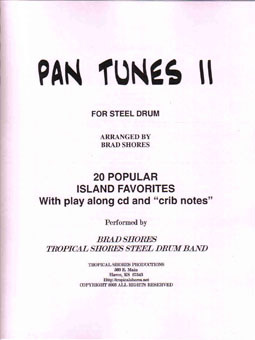 2"
Pan Tunes III contains 20 songs that work great for learning the steel drum and may be used on gigs. Each song is recorded with the melody and then without. Every note is marked for easy note recognition. 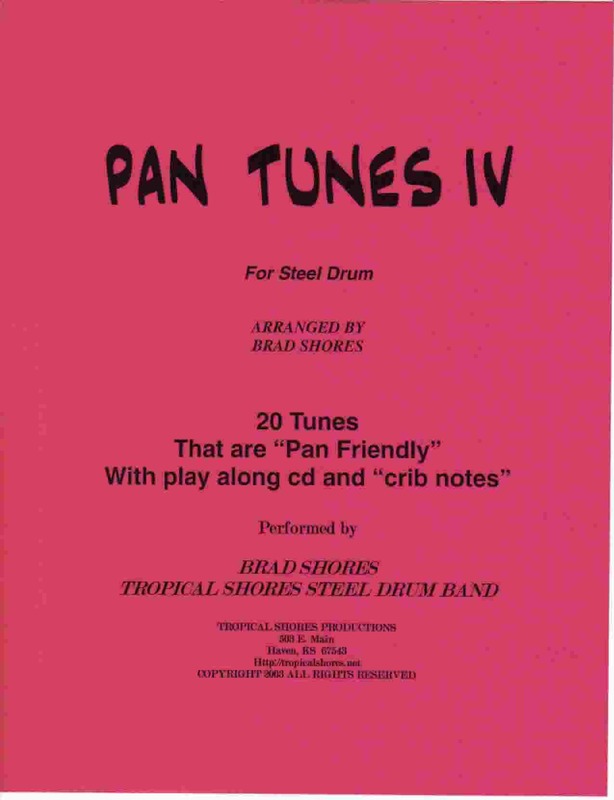 Pan tunes 4 contains 20 songs that will be fun to practice and perform. 20 cool songs recorded once with lead part and then again without lead part. 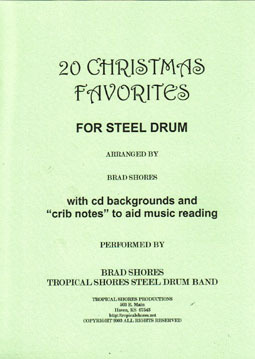 "20 Christmas Favorites for Steel Drum"
20 of your all time Christmas favorites recorded with melody and then again without melody.